A man and a woman on opposite sides of the Cold War fall for each other in this romantic drama from writer-director Blake Edwards (Breakfast at Tiffany's). Julie Andrews plays Judith, an assistant with the British Home Office who is on vacation in the Caribbean. 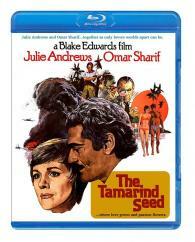 Sparks fly when she meets Soviet military expert Feodor (Omar Sharif), but Judith's superiors question his intentions. With a mysterious Communist spy on the loose, Judith must decide who to trust-and who to love. Archival interview with star Omar Sharif (1972), Omar Sharif (1974), and director Blake Edwards.